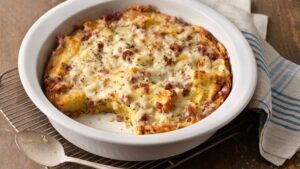 Croissants, ham, cheese and eggs snuggle down in a casserole. 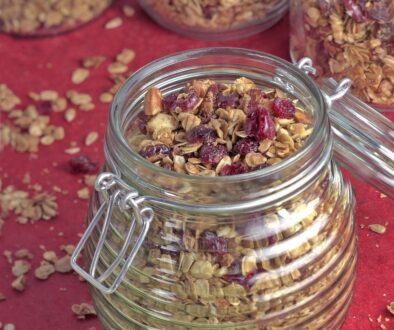 Try this easy make-ahead recipe for breakfast or brunch. Spray 10-inch glass deep-dish pie plate with cooking spray. Cut croissants in half lengthwise; cut each half into 5 pieces. Place pieces in pie plate. 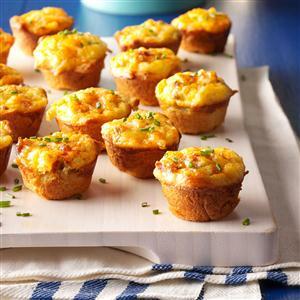 Sprinkle with ham and cheese. In large bowl, beat eggs, half-and-half, honey, mustard, salt, pepper and nutmeg with whisk. Pour egg mixture over ingredients in pie plate; press croissant pieces into egg mixture to moisten completely. Cover tightly with foil; refrigerate at least 8 hours but no longer than 24 hours. You know peaches ‘n cream are a delicious pair, but have you tried orange juice and cream? Together they taste just like a creamsicle. 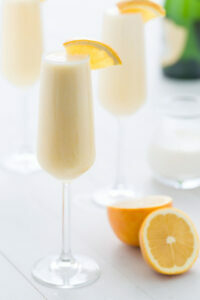 Rim champagne flutes with an orange slice and dip in sugar. Set aside. In a tall glass, stir together orange juice and heavy cream until combined. Pour into champagne flutes and top off with champagne. In a large skillet, brown sausage and onion over medium heat for 4-5 minutes or until meat is no longer pink; drain. Stir in chives. Bake at 375° for 20-25 minutes or until a knife inserted in the center comes out clean. Cool for 5 minutes before removing from pans to wire racks. If desired, sprinkle with additional minced chives. Serve warm. Yield: 4 dozen. 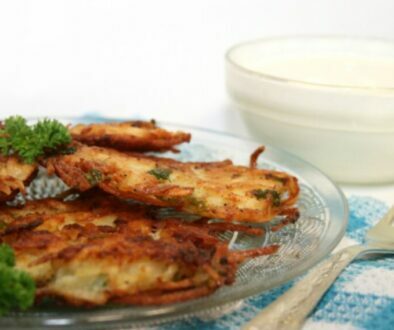 Traditional Hanukkah Recipes	How Long is the Longest Table?